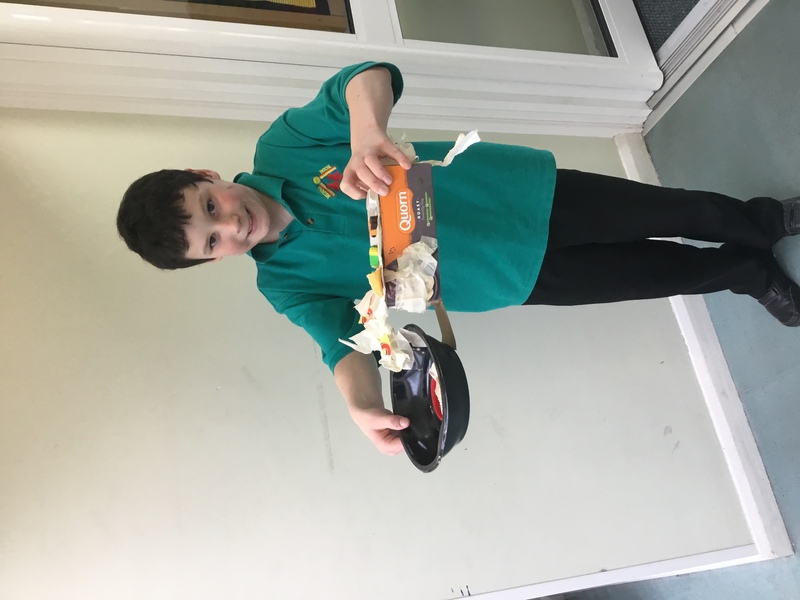 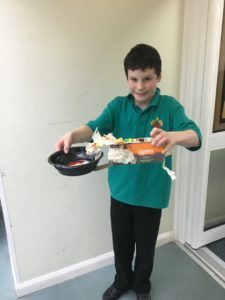 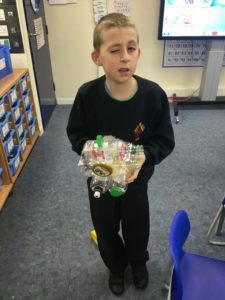 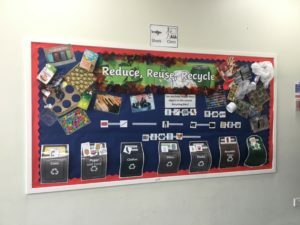 This term in Shark class we have been focusing on the Topic of recycling, we have explored a variety of different material’s and found out which materials can be recycled and which cant. 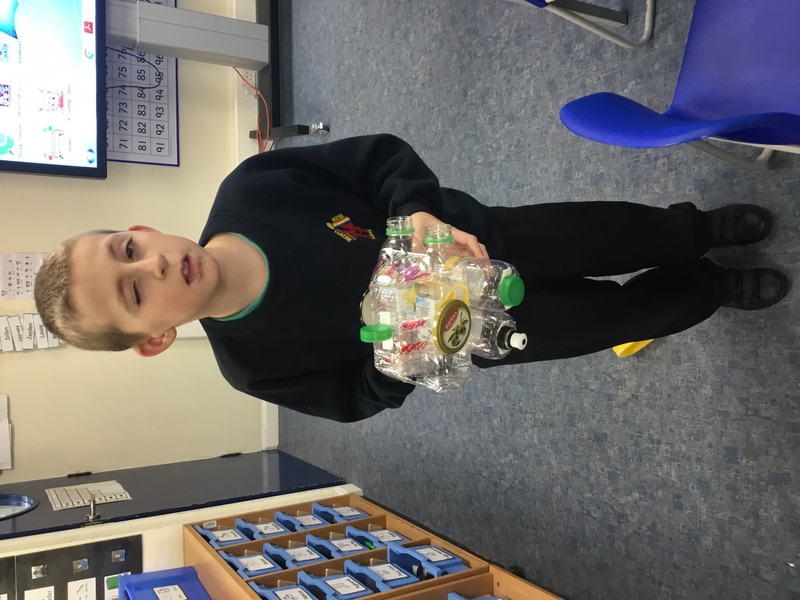 We have designed our own junk models in our Design Technology lessons which we all had a lot of fun making them. 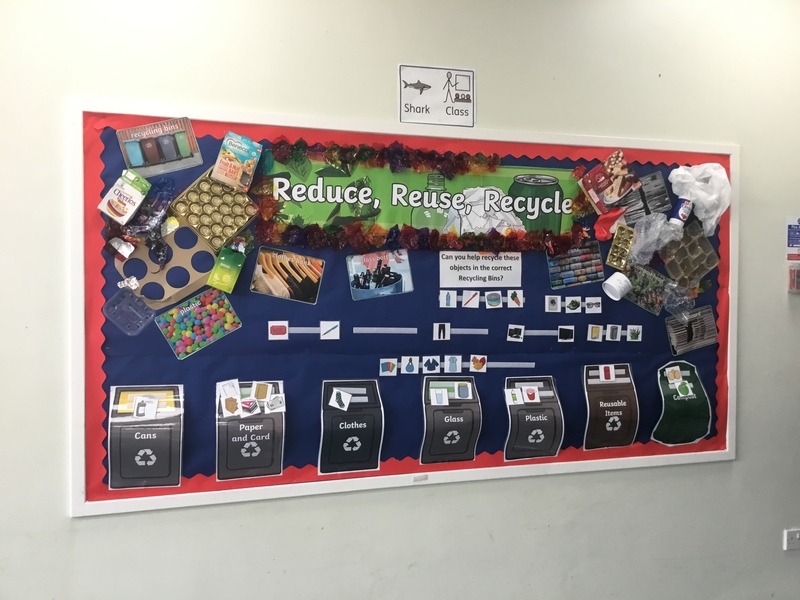 Here’s a picture of Our new interactive display in which the children have to sort the different objects into the correct recycling bin. 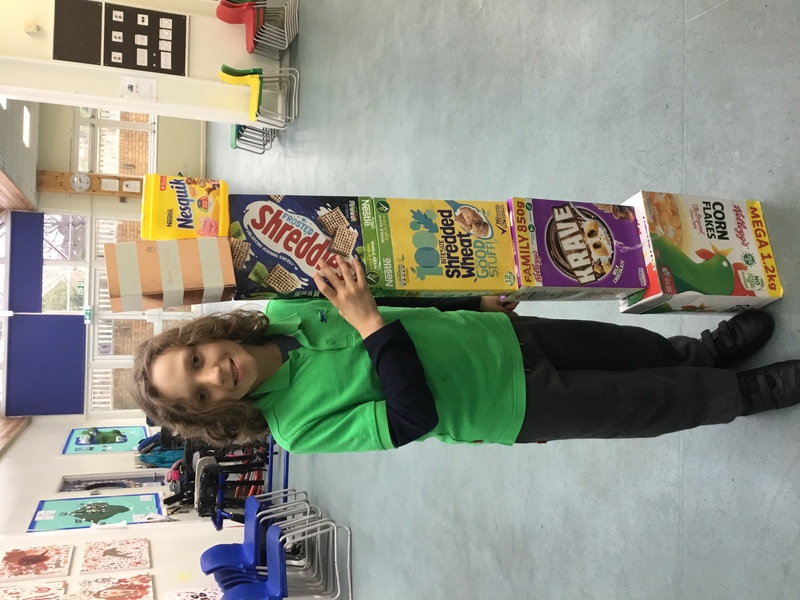 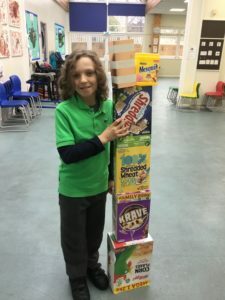 Aaran decided to design and make a Skyscraper. 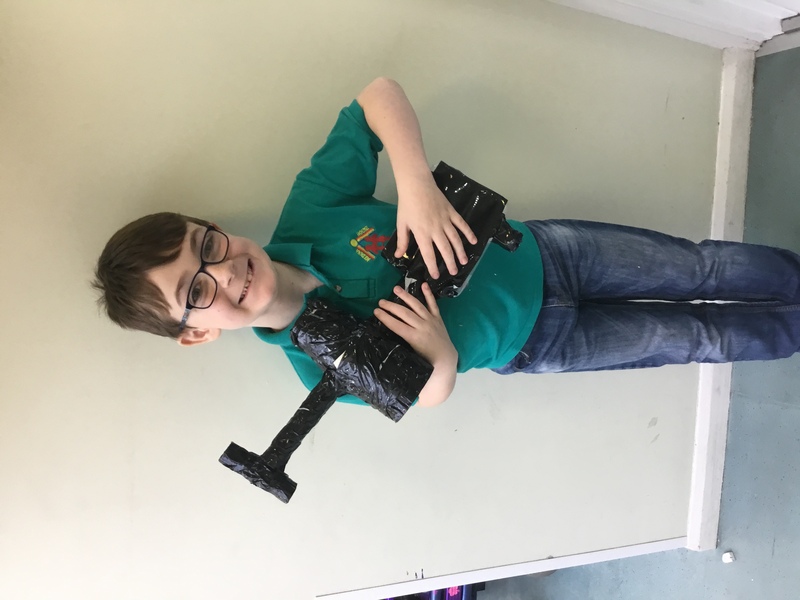 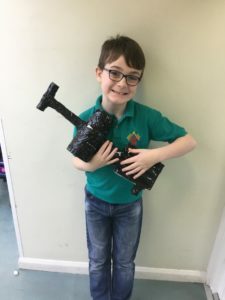 Robbie designed and made a Rocket. 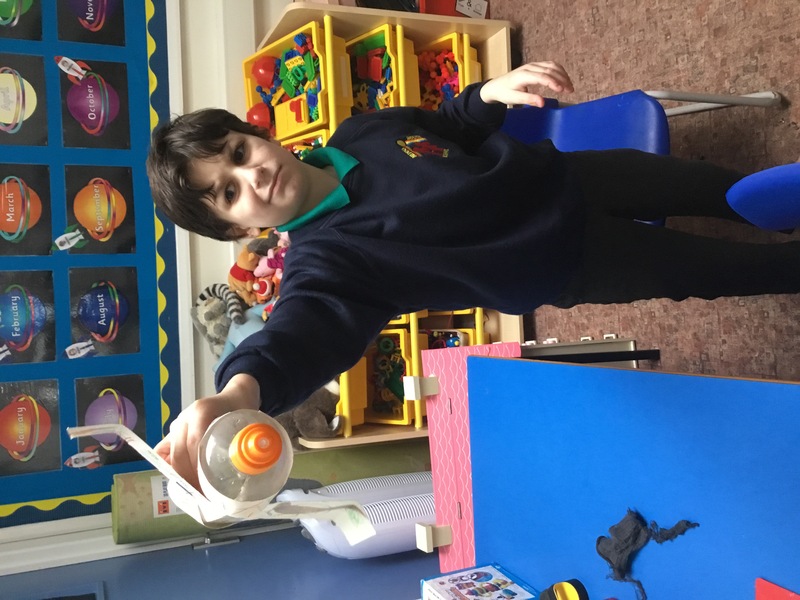 Louis decided to design and make a Star Wars spaceship. 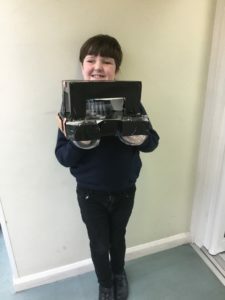 Jayden made a Car of course Haha !! 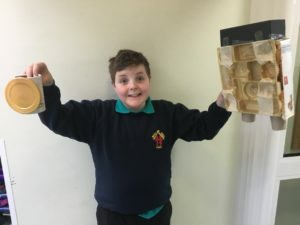 Mitchell also decided to design and make a car. 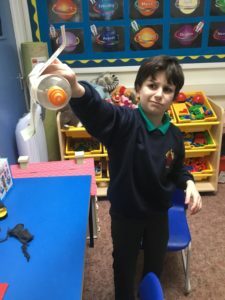 Harvey’s flying creation that he designed and made. 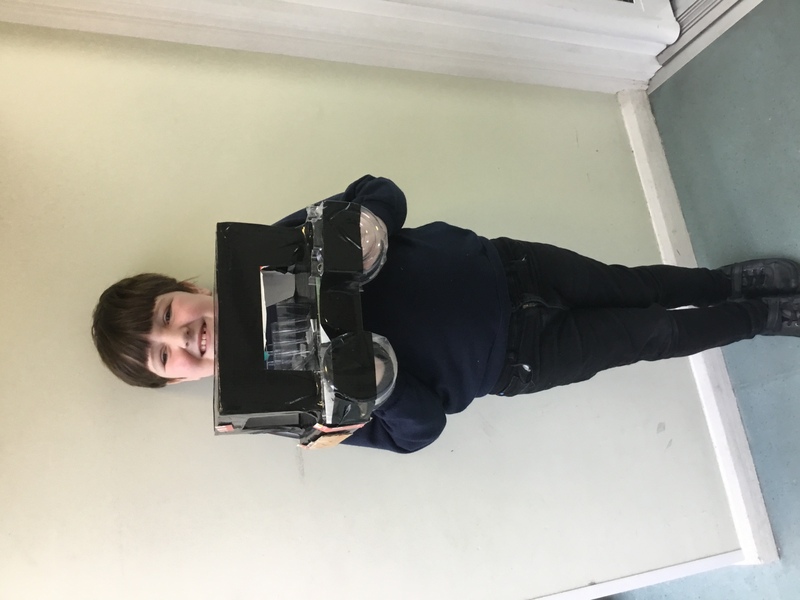 Andrew designed and made a Satellite.